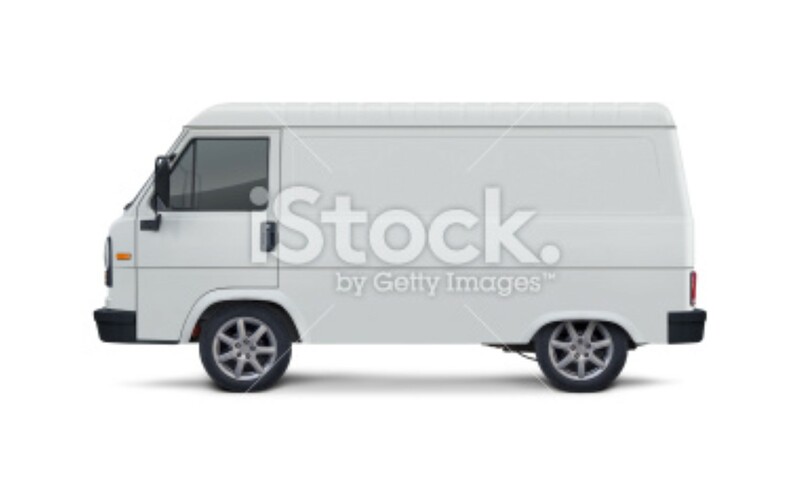 Side view of white delivery van or truck with blank side ready for type or graphics. Clean image and isolated on white background. Digitally generated image.